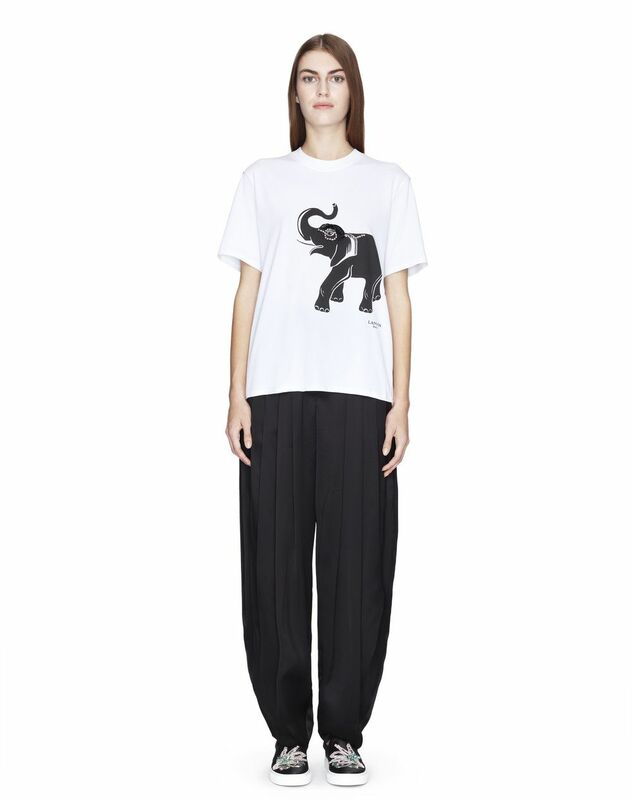 Short-sleeved T-shirt in white cotton jersey knit, elephant print with embroidery and black "Lanvin" logo detail, ribbed hems, and slightly high round neck. 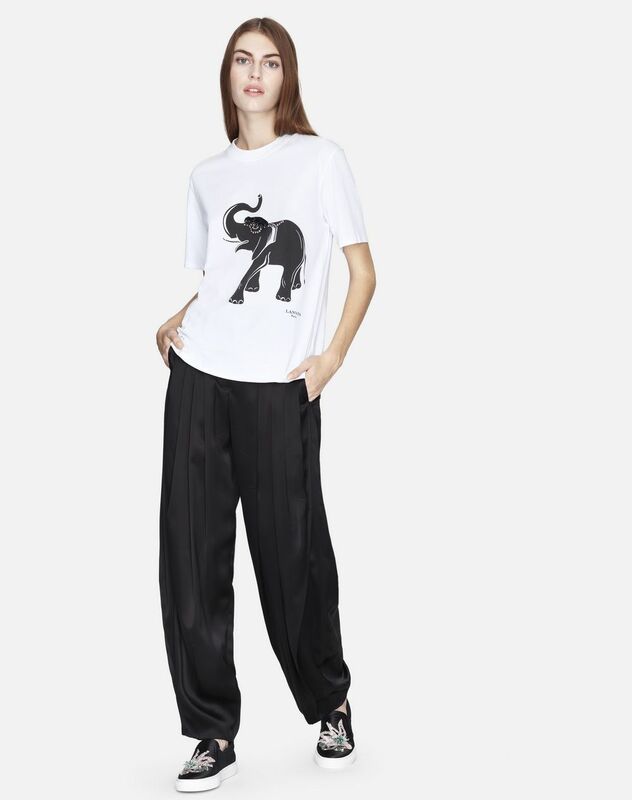 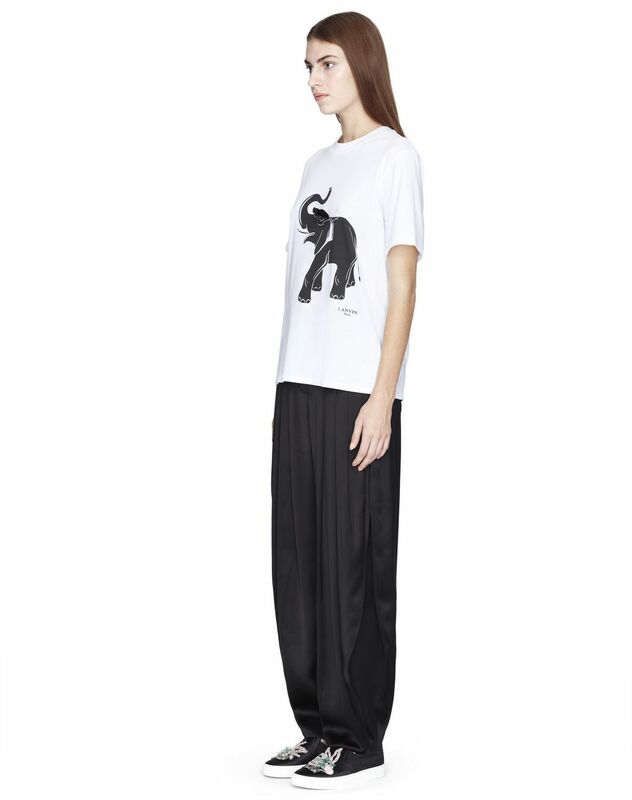 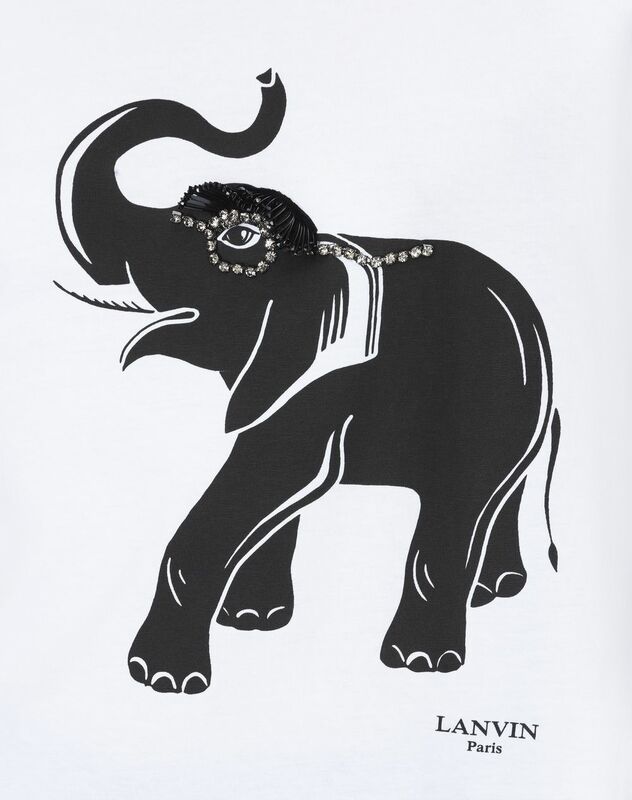 This white cotton jersey knit T-shirt embellished with an "Elephant" print and embroidery boasts an elegant sportswear look and is a wardrobe essential. 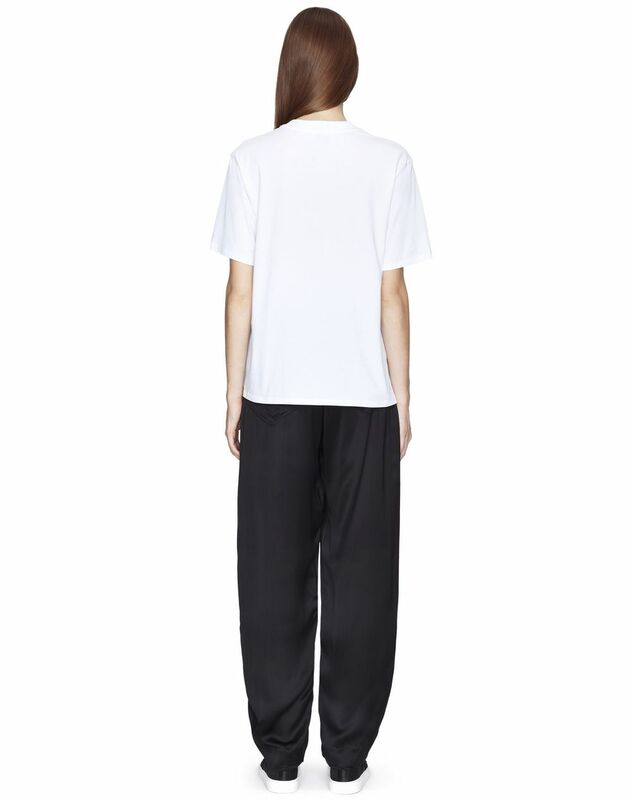 Comfortable and feminine, it adds a refreshing, modern touch to any outfit.